QUALITY REAL ALES & GREAT FOOD. Award winning licensees David & Ruth Hamby welcome you to the newly renovated independent Free house the Blue Bell at Kirby Hill, sister pub to the legendary One Eyed Rat in Ripon. This 19th century coaching inn is located just off the A1 midway between London and Edinburgh , in the picturesque village of Kirby Hill and in days gone by housed its own prison cell, which was used as an overnight stop by officers who, no doubt, enjoyed an ale or two! We have 3 comfortable stylish rooms, serve quality real ales, continental draught beers and lagers, as well as good food – all with friendly service. Welcoming fires & traditional pub games. There are welcoming fires, traditional pub games and a south facing beer garden and sun terrace. A real pub for real people which hasn’t forgotten the essentials of what makes a great British pub (and not just a restaurant with beer). Well placed for the Dales, Horse racing at Ripon & the historic market town of Thirsk and centrally placed on the coast to coast Morecambe to Bridlington cycle ride. We offer a warm welcome to all and hope you enjoy your visit. The Blue Bells focus, guided by our head Chef Martin, is to produce good food using carefully selected local ingredients to create a classic British Menu – View Our Food Menus. 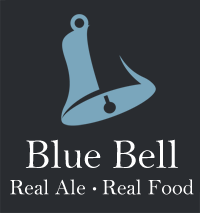 At The Blue Bell, the award winning licensees David & Ruth Hamby have a passion for real ale and have featured in the Good Beer Guide for the past 25 years – View Our Drinks.